In collaboration with Trafalgar Releasing, readers can win a pair of tickets to see the critically acclaimed family classic, The Sleeping Beauty from the Bolshoi Ballet – coming to cinemas across the UK on 10th March. Sorry, this competition expired on Tuesday, 26th February at 09:00. I am happy to be contacted by email with marketing information from Trafalgar Releasing. Sorry, something went wrong on our side when you tried to enter. Please try entering this competition again. If you continue to have problems please contact STV. You have reached the maximum number of times you can enter this competition. For more great chances to win, head over to stv.tv/win. Please answer all questions. Sorry you must be 18 or over to enter this competition. Sorry, this competition is open for Scottish residents only. Sorry, this competition expired on Tuesday, 26th February at 09:00. These terms and conditions apply to the draw for tickets to the Bolshoi Ballet screening of The Sleeping Beauty in cinemas on 10 March. No purchase is necessary. Please enter your name, email address and contact details in the spaces provided. Entrants must be aged 18 or over and be residents of the UK. This prize draw is not open to employees or contractors of the Promoter or their immediate families, nor to any other person connected with the prize draw. 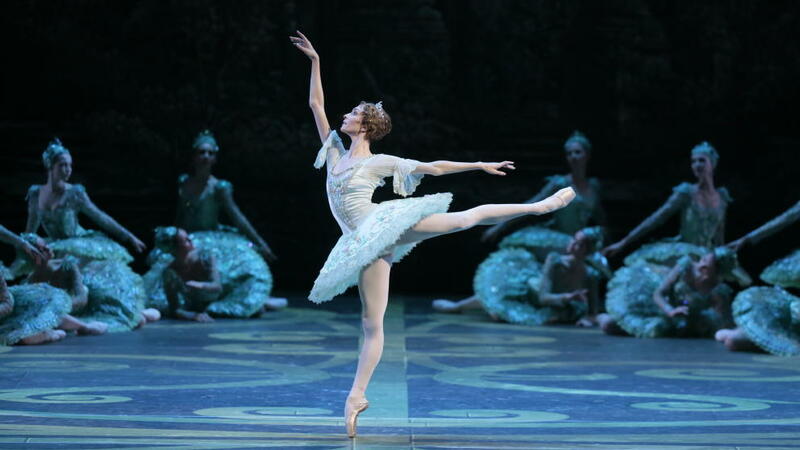 There will be 2 prize winners, who will each win one pair of tickets to The Sleeping Beauty from the Bolshoi Ballet in their local cinema on 10 February (“Prize”). The value of one pair is £60. The Prize is subject to availability. The Promoter reserves the right to amend the specification of the Prize or offer an alternative Prize of equal or greater value. No cash alternative will be offered. The Prize is non-transferable.